In a CNN special report Facebook at 15: It’s Complicated, CNN Business Senior Technology Correspondent Laurie Segall steps inside the walls of Facebook to sit down with the original architects of the platform that forever changed the world. Through exclusive interview footage and unprecedented access, CNN examines the company’s history and future, and the complications that come along with connecting the world. The special will air on CNN on Sunday, February 10 @ 9pm ET/6pm PT. A company built in a dorm room 15 years ago is now the most powerful social media platform in the world. To fully understand Facebook of today, CNN goes back to the beginning, with exclusive never before seen interviews with leadership – from Mark Zuckerberg and Sheryl Sandberg – to shed light around the stories that brought the company to where it is today. The special unveils new revelations around Facebook’s business practices and operation, with former employees describing a “cult” like and “Game of Thrones atmosphere.” From former employees to critics to political leaders, CNN speaks to those who can provide a comprehensive look and behind the scenes commentary around the pivotal moments from the company’s origin to its first hints of privacy issues. Segall explores the critical stories as stakes only got higher as the platform continues to connect the world. Accompanying articles, videos, interactives and podcast interviews from the special will be available at CNNBusiness.com. 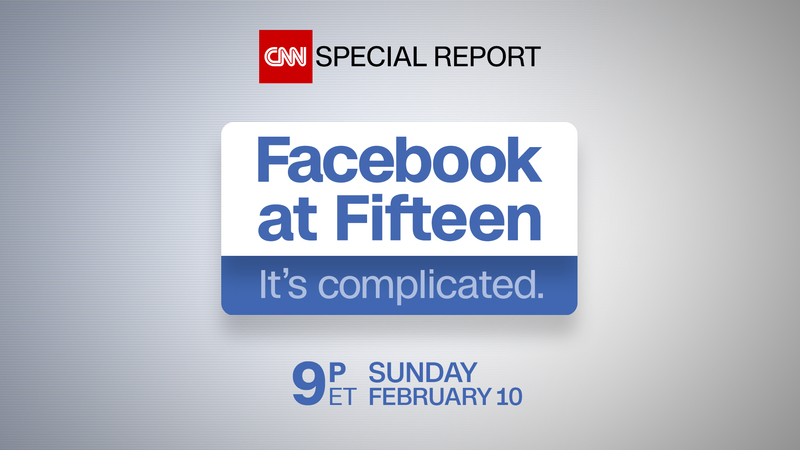 Facebook at 15: It’s Complicated will stream live for subscribers on February 10 via CNNgo (at CNN.com/go and via CNNgo apps for Apple TV, Roku, Amazon Fire, Chromecast, Samsung Smart TV and Android TV) and on the CNN mobile apps for iOS and Android. The special will also be available the day after the broadcast premieres on demand via cable/satellite systems, CNNgo platforms and CNN mobile apps.